When I joined the Alliance of Independent Authors (ALLi) three years ago, I had never heard of all the ways we can market our books. I certainly never heard of BookBub. But the more I read, the less they seemed to apply to me. Many authors write series, so that publicizing one book immediately helps to promote the others. My books, creative non-fiction on completely unrelated topics, are each geared to a different audience. Perhaps like some other non-fiction writers, I found it hard to identify any paid marketing that would be cost effective. And my sales numbers felt much lower than those of other writers, although that is a subject that is not often discussed. With my three books, I sold somewhat less than 450 in all last year. But it was free to apply, so why not? For the uninitiated, how these promotions work is that you pay BookBub a not trivial amount of money ($142 in my case, but it depends on the genre), lower your ebook price to 99c/99p on one agreed day and wait to see what happens. Sounds counter-intuitive, but as others before me have found, it can work. I applied for the promotion to take place solely in the UK, Canada and Australia (you can apply for the US, but the cost is considerably higher and I wasn’t brave enough). I lowered the price for a week beforehand – and did what I could to tell potential readers that I had done so. BookBub said I could expect 300 sales (presumably, an average for the category) during the promotion, which sounded like an unattainable target. But in fact I sold nearly 470, about 400 on the day and the rest in the days before and after. Most were sold in the UK, but about 100 were sold in Canada and 50 in Australia. In addition, there were many unexpected side effects of the promotion. First, the actual promotion day is very exciting, because you can clock Kindle sales in real time. You see them climb to 60, then over 100 and so on. My whole family got involved, placing bets on the final figure (my grandson won). Sales on other channels, such as Apple and Kobo, did not show up immediately, but were a delightful surprise when displayed by D2D the next day. Second, and particularly important, was the huge jump in Amazon rankings. My book went up to #1 in three categories in the UK as well as elsewhere. And the overall Kindle ranking (all sales) rose amazingly. My favourite was a rank of #8 of all Kindle books in Canada. This for a serious book about hospice care! Third, my books had never had much traction on platforms other than Amazon, so the Draft2Digital sales were surprising and have had some continuation since the promotion date. So, if you are a writer, have a go. If you write in a different genre, your costs will probably be much higher, but the rewards may be as well. It is well worth applying, especially as it is free and easy to do so. Many requests are turned down, but you can apply again. Indeed, one friend applied twelve times before he got it. On a complete whim, I applied for a BookBub promotion for Life in a Hospice a few weeks ago and, much to my surprise, got it. I thought they were interested in crime or romance books – not serious books about end-of-life care. But happily I was wrong. For the uninitiated, a BookBub promotion means you pay them (BookBub) a not trivial amount of money ($142 in my case), lower your ebook price to 99c/99p on one agreed day and wait to see what happens. Sounds crazy, but it can work (and it did in my case). It is very easy to apply (and no charge), but not everyone gets accepted. Among authors, it is seen to be a great honour to get it. You can apply for the US (but it costs a lot more), so I took the less risky route of applying for the promotion to take place in the UK, Canada and Australia. I lowered the price for a week beforehand – and did what I could to tell potential readers I had done so. I sold about thirty before the actual day. The actual promotion day is very exciting because you can clock Kindle sales in real time. Two hours after it had started, the book was already up to 60+ sales, then a bit after it was over 100 and on and on. I did take plenty of time away from my computer, but it was very compelling to keep having a peak. Sales on the other channels did not show up immediately and were a delightful surprise when they were displayed the next day. BookBub said I could expect 300 sales (presumably, an average for the category) during the one-day promotion. In fact, I sold 401 books, mostly through Kindle but 76 via Kobo/Apple. Most were sold in the UK, but c 100 were sold in Canada and c 50 in Australia. With an additional twenty or so sold in the days after the promotion at the normal price (presumably by people who don’t get their act together quickly enough or who respond to a friend’s recommendation), I sold about 450 copies altogether. It doesn’t make a lot of money, as you pay for the promotion, and you make only 35p from each sale at 99p. My break-even point was 300, so I made a small profit. BUT what I did see, which I had forgotten about, is a huge jump in the Amazon rankings. The book went up to #1 in three categories in the UK (including ‘nursing’ and ‘death & grief’), listing for the time as ‘#1 best seller’, and very high also in the US (although the book wasn’t officially on sale there, I had reduced my price in case people were looking). And the overall ranking (eg of ALL kindle sales) jumped hugely. My favourite was that the book was ranked #8 in Canada of ALL kindle books. I thought it was wonderful that a serious book about hospice care could be so high in any such list! It fell quite quickly, of course, but I did feel like Queen for a Day. So if you are a writer, it is well worth applying, especially as it is free to do so. I am told that if you are turned down, you can apply again. I know one man who applied 12 times before he got it. Good luck. My grandfather, who died before I was born, was a failed entrepreneur who ended up as a door-to-door encyclopaedia salesman in the 1930s. I think of him often these days as I have discovered that a good way to boost sales of my most recent book is by what seems to be called ‘handselling’. Celebrating Grandmothers is a narrative book about what it is like being a grandmother. Who buys it? Grandmothers, of course, but also many others buy it as a gift. The pre-Christmas period is great, as people are looking for an original present for a grandmother, and my book is a solution to their problem. Grandfathers may be looking for a present for their wife, young people for their grandmother, and parents with young children for their mother or mother-in-law. It takes a lot of courage, but yes, I go up to people in the street and show them my flyer, and while they are looking at it, I pull out the book and say ‘this is what it looks like’. As the cover has an eye-catching picture, they often say ‘ooh’, take the book and leaf through it. Many say they will look at my website later (and then don’t), but a fair number buy it then and there. I always carry change for £10 in my pocket, so the transaction can be completed without a lot of fuss. The key question is who to approach. First and foremost, youngish-looking older women, asking if they are a grandmother. They are invariably so surprised by the question that they ask ‘why’ and then I tell them. Very old women are not so interested, because once grandchildren are grown up they no longer identify with the role. If they aren’t a grandmother, I ask if they have a sister who is. Another obvious group are pregnant women. Of course, I approach women pushing prams or pushchairs, although the hazard in London is that they are a nanny and/or foreign and their mother doesn’t speak English or, indeed, they don’t speak English themselves. Men with pushchairs are better as they are invariably polite, unlikely to be a nanny, and more often buy on the spur of the moment. I avoid older men, because with so much divorce, many lose touch with grandchildren and you don’t want to touch a raw nerve. And what have I learned? You need to get people on their own, rather than two or more together. They shouldn’t be rushing about, on their phone, dealing with troublesome toddlers or looking like their minds are completely elsewhere. I must be in a good mood, as otherwise I can’t muster the necessary enthusiasm. It helps if it is a nice day as people are more willing to stop and chat. But all in all, people are surprisingly nice, some even complimenting me for selling in this way. And best of all, every sale feels wonderful. Finally, shopkeepers are also worth approaching, if they have no customers. 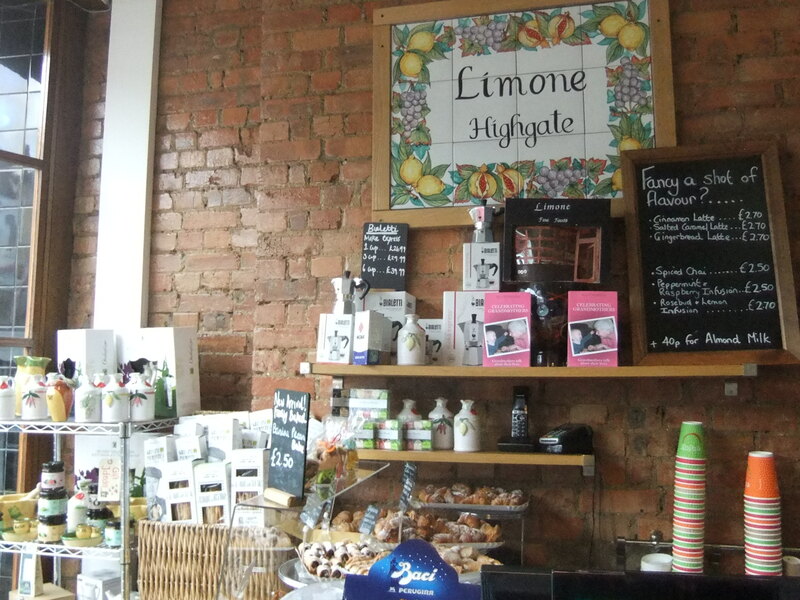 They may well want a copy, but my greatest surprise was a lovely woman who runs the Limone delicatessen in Highgate. She offered to put a flyer in her window and then added, why didn’t she keep a couple of copies in case people wanted one? They are placed just behind the counter, so I couldn’t ask for greater visibility. She has sold five copies in three weeks and refuses to take any payment on the grounds that she likes to help people and ‘what goes round comes round’. I wish her all good things. I really like Bublish. I like its concept, its style, its format and the very great help it provides. And no, no one paid me to write this. Moreover, I do have some problems, which I will come to later. Lets start with the concept. It allows a writer to set out excerpts from a book (the ‘bubbles’), to allow potential readers to get a ‘feel’ for what they will get if they buy it. A comment page is joined to the excerpt, allowing the writer to note its significance or why they wrote it or anything else they want to say. There are also pictures of the book cover, the author and links to the author’s website. I took to this concept like a duck to water, because it suits so well the format of my own book. This is a non-fiction book about what it is like to be a grandmother, organised around quotations from interviews with grandmothers. 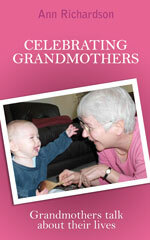 (Celebrating Grandmothers, see www.celebratinggrandmothers.info). Two months ago, I had been wondering how I could put excerpts from my book onto Twitter and, being an amateur, was defeated by the task. Bublish suited my needs perfectly. Secondly, these bubbles and comments are set out with genuine style. You really have to see it to appreciate it, but there is a pleasing aesthetic to the site that I can only compliment by saying it is Italian in feel. Someone there has a genuine sense of colour and design. Third, there is what might be called format. In addition to the bubbles and commentary, there is an author profile, allowing readers to see if they like the feel of the writer as well as the writing. And then, most importantly, there are direct buttons to marketing sites, such as Amazon and others. So, you, the reader have seen something you might like, can read a few excerpts, look at the author’s profile and – bingo – you can buy right away. Meanwhile, you the author can look at the ‘dashboard’ and see up-to-date information on the numbers of views of your bubbles, your profile and, yes, ‘conversions’, whereby readers have gone directly to a buying site (Bublish doesn’t know who actually buys, but can know who pressed the ‘buy’ buttons). But my biggest bouquet goes to the help offered. There are lots of sites that invite you to ask for help. And they tend to respond grudgingly, or worse – by a technically savvy person with no ability to understand amateurs like me. Not Bublish. I started out with one problem, got a genuinely warm and friendly (and extremely helpful) email in return. And later went back for more help. A lady named Kathy who I wouldn’t recognise if I passed her in the street has been giving me social media lessons, which I badly need, and even other advice about how to improve sales. She looked over my Twitter site as well as my Bublish site and gave advice on both. I keep thinking she must have other things to do with her time, but by golly, she is a terrific help. I have had a free month’s trial of Bublish – anyone can – and am currently in the last week. And here is the downside. Despite some effort on my part (could have been more, could have been less), I have managed to accrue over 2200 views of my bubbles, nearly 60 views of my profile – but only 16 conversions. I am told that the more normal ratio (views-conversions) is 3% – mine is well under 1%. 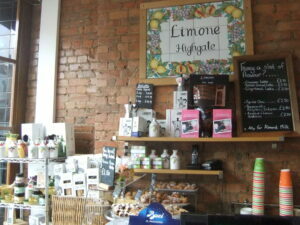 So, there’s the rub – great concept, great site but not many sales at least for my book. It may be to do with my target demographic group and I will be working on it in the next month. PS One last niggle. I don’t mind the word ‘bublish’. It has a happy sound. But the word ‘authorpreneur’ is an abomination. We are writers and we may be entrepreneurs, but I do not think many of us want to be called authorpreneurs.